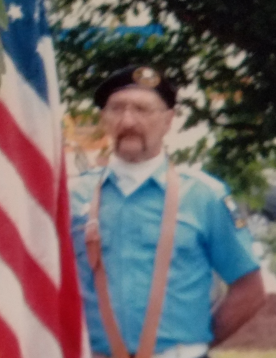 Larry W. Daugherty, 63, East Freedom, passed away unexpectedly Sunday, Nov. 25, 2018, at Conemaugh Nason Medical Center, Roaring Spring. He was born on June 25, 1955 in Roaring Spring, son of the late William H. and Mary E. (Feathers) Daugherty. He married Inez Burke on May 21, 2009. Surviving are his wife of East Freedom, five children; Justin (Mary Jo) Daugherty, Jason Daugherty, Billie Jo Daugherty, Bobbi Jo Daugherty, Larry Daugherty Jr., and three step children, Alicia (Mike) Moore, Kayla (Justin) Fink, and Brandy Brant, and nineteen grandchildren. Seven brothers and sisters; Kathie Daugherty, Thomas E. Daugherty, Mary Ann Preis, Amy E. Henderson, Lori Sue Gibson, William A. Daugherty, and Timothy Daugherty. Larry was a gradate of Central High School. He retired as a truck driver. Larry was a charter member of the Legion Riders 516 Chapter. He loved riding his motorcycle, hunting, and donated his time to help serve veteran funerals. Friends will be received from 2 to 4 and 6 to 8 p.m. Thursday, Nov. 29, 2018, at Miller Funeral Home, East Freedom. A funeral service will be held at 11 a.m. Friday, Nov. 30, 2018, at the funeral home, with Pastor James Neatrour, officiating. Interment will be at Leamersville Riverview cemetery.